Jerald Simmons, MD. with patient testimonials. Gerard J. Meskill, M.D. 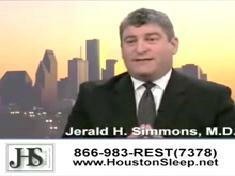 is board certified in both neurology and sleep medicine. He completed his undergraduate training at the University of Notre Dame before attending medical school at S.U.N.Y. Downstate in Brooklyn, New York. He then completed neurology residency at the Hofstra Northwell School of Medicine -- New York's largest integrated health system -- where he served as chief resident. After residency, Dr. Meskill switched coasts to continue his training at Stanford University School of Medicine's Sleep Disorders fellowship program. Founded by William Dement, MD., Ph.D., Stanford's program is recognized internationally as the birthplace of the field and is considered the world's best academic sleep program. Dr. Meskill trained under many of the most recognized innovators in sleep medicine, such as William Dement, M.D., Ph.D., considered the father of sleep medicine; Emmanuel Mignot, M.D., Ph.D., the chairman of the program and the world authority on narcolepsy; and Christian Guilleminault, M.D., one of the world's most published authors in the field of sleep and a major contributor to the discovery of the physiologic mechanisms behind obstructive sleep apnea (OSA). Following training, he joined Comprehensive Sleep Medicine Associates (CSMA) to work with fellow Stanford graduate Jerald H. Simmons, M.D. 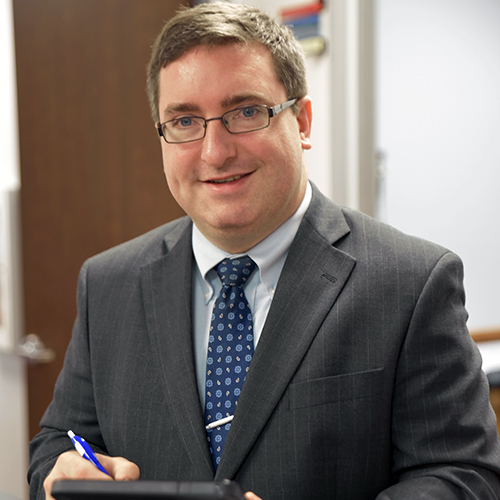 He founded and acts as coordinator for a narcolepsy support group in Sugar Land through the Narcolepsy Network and the American Sleep Apnea Association. He has been a regular contributor to the Huffington Post's "Stanford Center for Sleep Sciences and Medicine" sleep blog. He has co-authored, "The role of flow limitation as an important diagnostic tool and clinical finding in mild sleep-disordered breathing" in the peer-reviewed journal Sleep Science and wrote a chapter on the interrelationship between stroke and sleep disorders in Sleep and Neurologic Disease. Additionally, he is a board member of the Sleep Education Consortium, a 501c3 non-profit organization that holds continuing education conferences with a mission to enhance the knowledge of healthcare professions on sleep disorders. CPAP Doesn't Prevent Cardiovascular Events in Sleep Apnea, According to the NEJM, But Can That Be True? Is Fibromyalgia Syndrome a Myth? No, But It Just Might Be a Sleep Disorder. Sleep and Stroke. In: Miglis MG, ed. Sleep and Neurologic Disease. San Diego: Academic Press, 2017: 115-127.